Jeanne LaRae is a renowned exhibited and published artist. Her work has been featured in a variety of movies, music videos, murals, brochures and magazines. She has been a professional Fine Artist and Illustrator including leading workshops and class instruction. Portraits of people, animals, architecture and landscapes have been collected and commissioned. 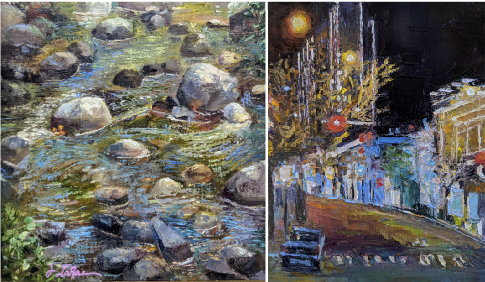 Jeanne loves the outdoors and paints En Plein air, Alla Prima and Studio based. She exhibits locally in the Ashland Art Center Gallery.